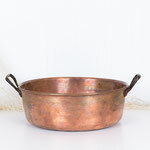 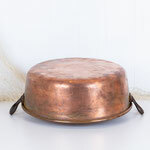 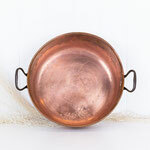 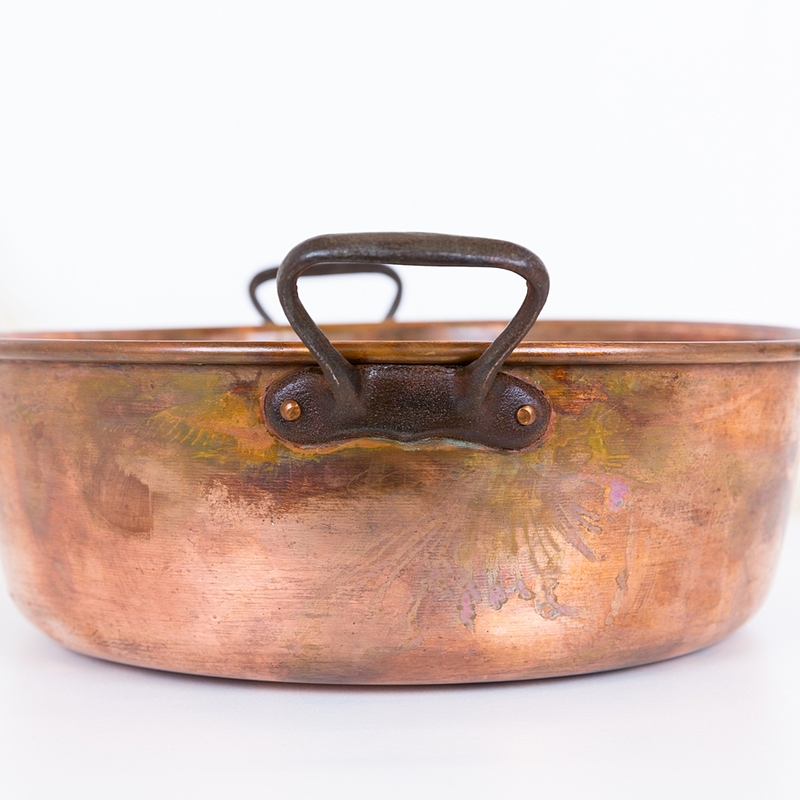 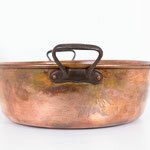 This stunning French copper jam pot has a heavy base and a wonderful aged patina. It would be perfect to use a fruit bowl, or as a centre piece for the dining room filled with floats and coral. 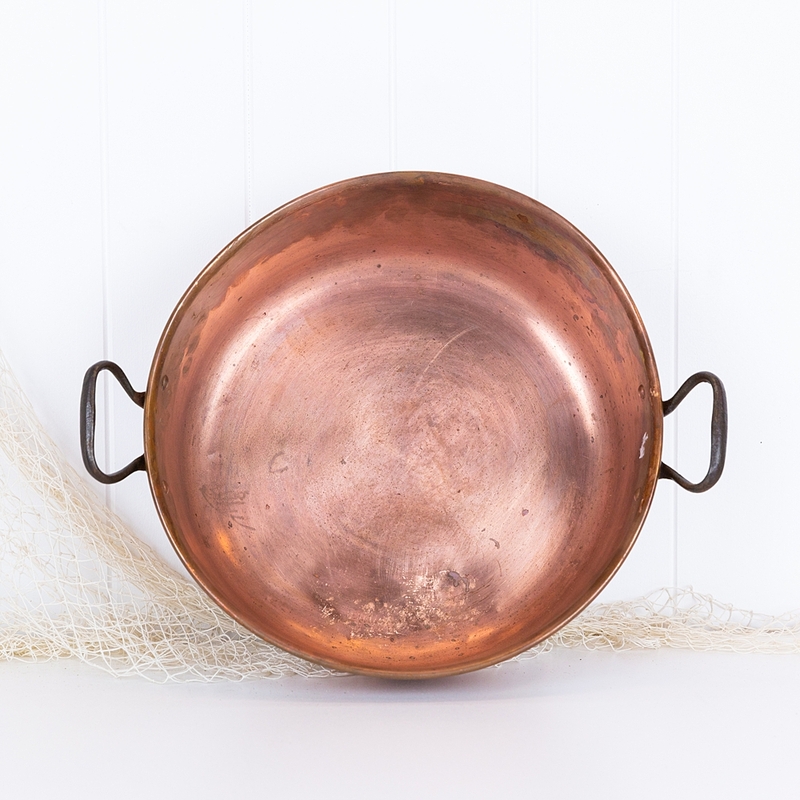 Or hanging from a pot rack to complete a country or french provincial kitchen.